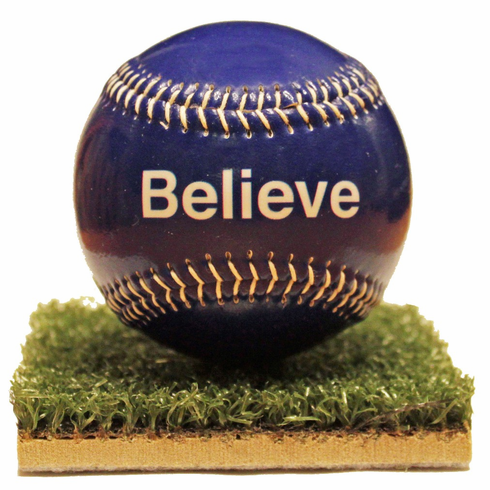 These handmade, standard size baseballs feature Believe in white on a gloss finish. (Bright blue...almost purple in color!) Each baseball comes in clear gift box with turf base stand.